Here’s a tute to show you one of the two things I made with this pillow cover from Ikea. 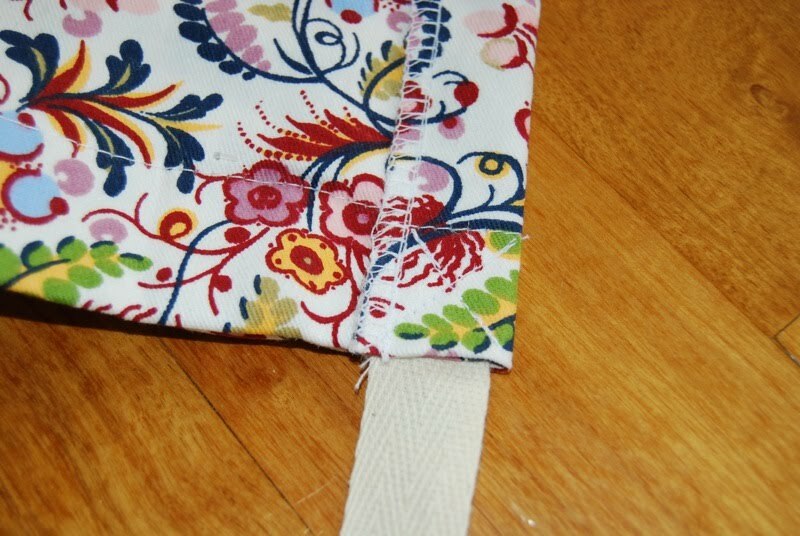 I was inspired to make an apron because of the existing pocket and cute bias trim on the back. 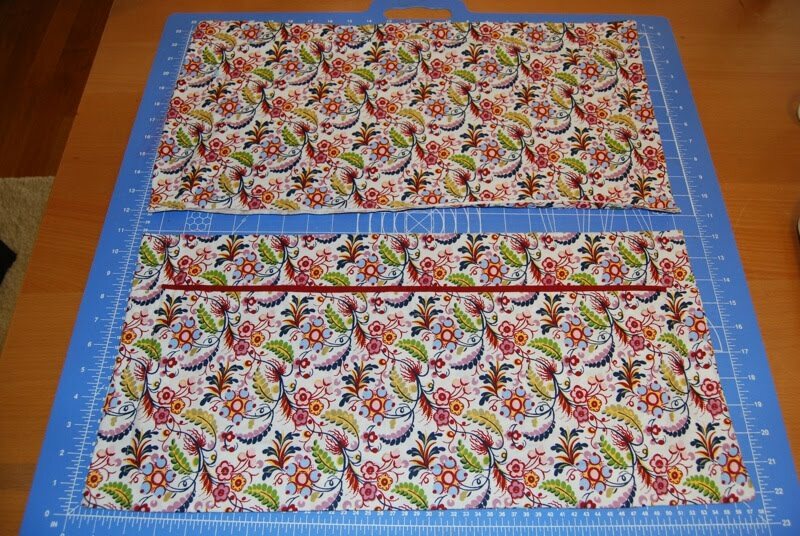 Finally, I sewed two seams through the “pocket” of the pillow cover to divide it into three pockets. And done! Time! What was that, 45 seconds? 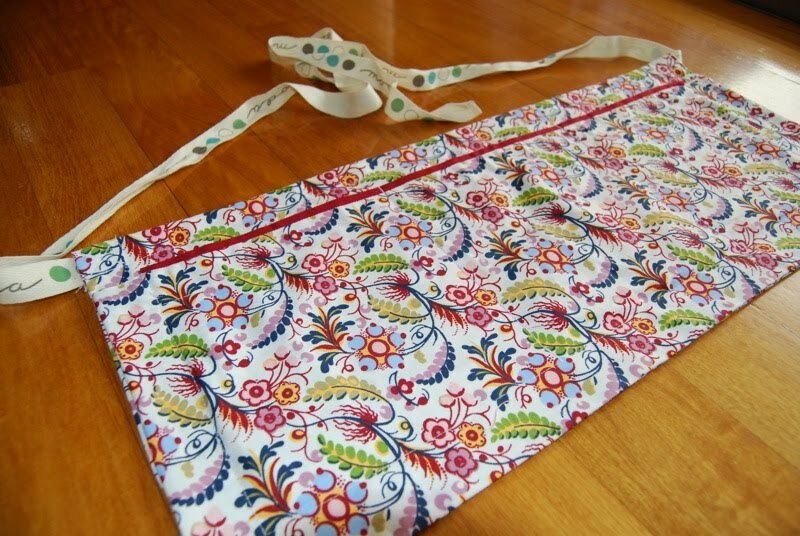 Here’s a picture Z took of my new craft apron. Now my measuring tape will never be just out of arm’s reach again. 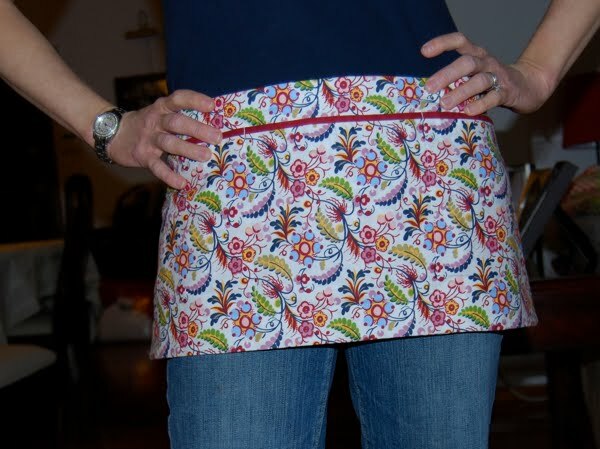 You could also use a pillow cover with a pocket opening to make a full-sized apron, but then you wouldn’t have enough fabric left over to make the second part of this tutorial….coming tomorrow! very handy! 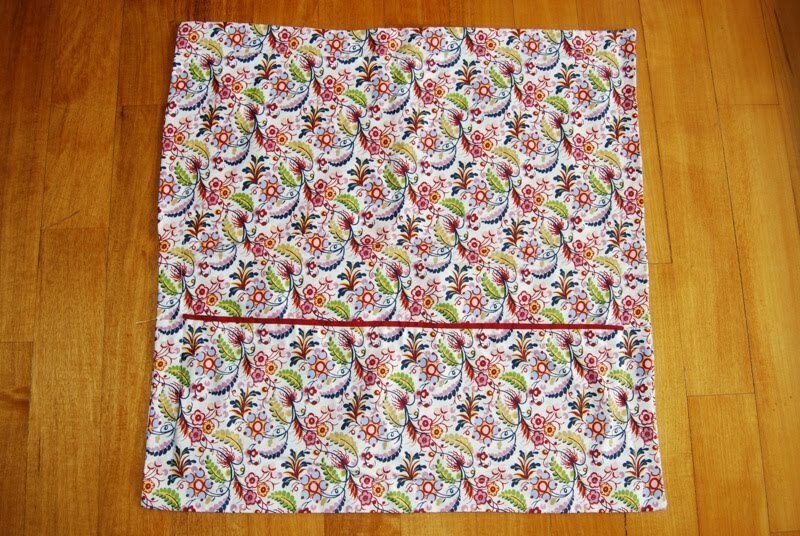 I love the print on the fabric! Go IKEA! sweet! im headed to ikea after nap time! Way to re-use the moda twill tape! Go green! Just great for a beginner like me! Thanks so much! !